Day 17~~Ole Henry! 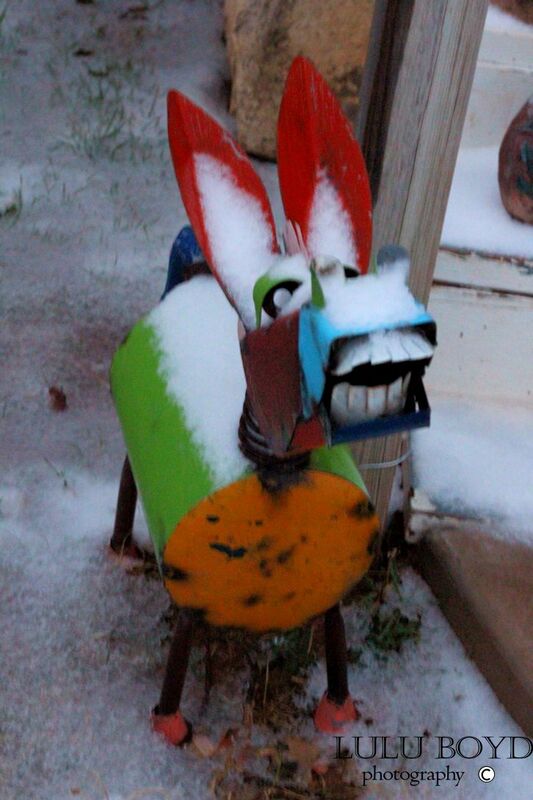 Got up early in order to get a shot of the snow...or rather ice... Ole Henry is at my front steps to greet visitors with a smile! I thought the sun would be up, but it's cold and wet outside. Took this little guy without a flash. I just adjusted my ISO, Fstop and shutterspeed. Remember to join my group if you like my photos. Thank you for taking the time to look at my work and ramblings. God Bless!